Earlier this week the FDA gave the makers of Kind Bars a little spanking. It turns out there’s a strict definition for the word “healthy” and four of Kind’s products didn’t clear the hurdle. The bars contain too much fat and not enough antioxidants, fiber or protein to meet the FDA’s healthy labeling requirements, the government said in a sternly worded letter. I am thrilled there are standards. We want someone watching over our food holding companies accountable for safety and honesty. But this warning to Kind has me confused. Several weeks before the FDA sent this letter, an expert advisory commission tasked with shaping the government’s Dietary Guidelines for Americans declared that fat is not the nutritional evil doer we once believed it was. Even for the longstanding dietary villain cholesterol, there isn’t enough evidence to prove it has any ill health effects for the average person, the committee concluded. 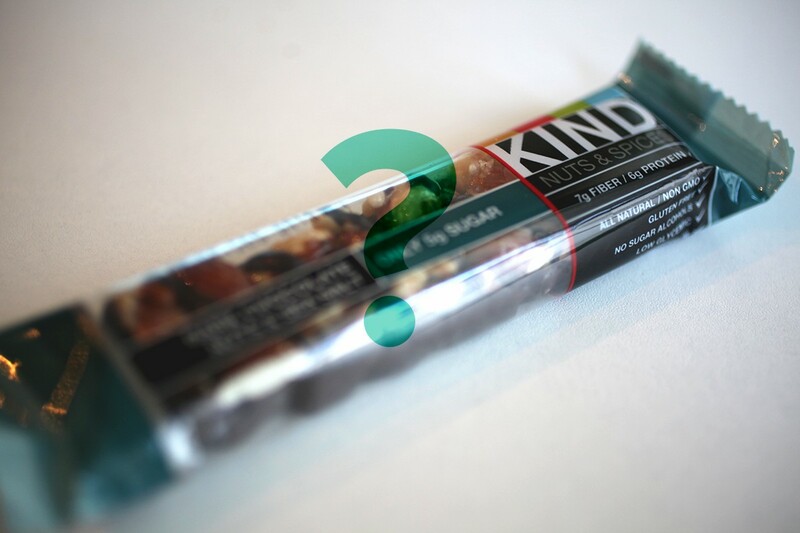 If you’re confused about Kind bars, that’s the least of it. The same committee that recommended lightening up our attitude on fat also praised the health benefits of coffee and debated dropping the current limits on salt intake. Both of these stances are complete reversals of the current dietary guideline recommendations. With all this conflicting information, is it any surprise so many of us have trouble deciding what we should eat? My advice? Keep up with the latest research but don’t let it make you crazy. Exercise some common sense too. Eating plenty of fruits and vegetables seems like a good bet. Consume everything else in moderation. Snacking on an occasional Kind bar probably won’t kill you. Come to think of it, neither will an occasional Snickers.